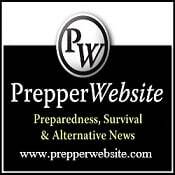 There are many survival situations, especially post-SHTF scenarios, where staying quite and not drawing attention to yourself or your position is paramount. For this reason hunting game with a firearm may not be the best course of action. There are many ways that you can harvest meat without making a lot of noise. Everyone should have several types of animal traps in their arsenal. Some traps like foot hold traps and live traps are best suited for using close to your homestead. Other traps like snares and body gripping traps can easily be carried in a bug out bag. In fact, I’m a big believer that everyone should have a size 160 body gripping trap in their “get out of Dodge” gear. 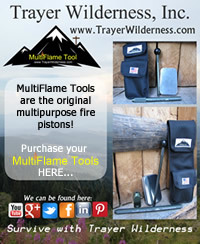 They are flat, fairly lightweight, and easy to use. If you are out in the bush traveling without any traps in your pack, you can make your own deadfalls from woodland materials such as heavy rocks. Trapping animals is not only silent, its also more efficient than hunting. Traps can be set and you can catch animals while you doing other things around camp like purifing water or gathering firewood. One of the advantages to snares, deadfalls, and bodygripping traps is that the animal will be dead when you find it in your trap. Animals caught in leg hold traps will need to be dispatched with stout stick across the back of the head. Animals caught in a live trap can be drowned. A compound bow or cross bow can be an excellent way to harvest small game as well as large game such as white tail deer. Today’s modern bows are extremely powerful and very accurate. I would suggest that you practice and learn to properly use them before thinking that you can rely on them for survival. Another option is a traditional recurve bow . The greatest advantage to the recurve bow is that it doesn’t have all the moving parts that a compound bow has. The strings are less expensive and easier to improvise. They have much less maintenance as well. Whatever type of bow you choose, archery is valuable skill worth acquiring. Fishing is another way to quietly put meat on the table. Everyone should have fishing line, hooks, and sinkers both at your base camp or homestead as well as in your bug out pack. You can also devise fish traps or use nets. We all grew up shooting at squirrels and pigeons with air rifles when we were kids. It was anything but a “sure thing” with old pump style air guns only creating velocities of 850 fps in those days. Today things have really changed and using break action gas piston technology, modern air rifles can fire pellets in the 1650 fps range; making them as powerful as a .22 rimfire without the loud report. If being able to drop small to medium game without giving away your position is a priority, having one of these modern air rifles may be just what you need. There are many different ways to put meat on the table or in the camp pot without making a lot of noise. I think a crossbow is the best thing since sliced bread. I am hunting with one for the first time this year and love both the idea of relative silence and the mostly reusable ammo. For someone middle aged or older who is plagued by the aches, pains and limitations resulting from a life of hard work not having to draw and hold a recurve or even a compound is awesome. I do, however, see the need to learn maintenance skills and obtain necessary equipment for replacing strings and cables. That’s a whole ‘nuther tale. ?